Collection can be made available to selected users. Follow DOI for access process. The Australian Parkinson’s Disease Registry is a collaborative endeavour set up by researchers across Victoria, Western Australia and New South Wales, and is managed by the Cooperative Research Centre (CRC) for Mental Health.  The registry consists of two distinct cohorts: a cohort of volunteers with Parkinson’s disease (N = 314) and a cohort of individuals with no signs of Parkinson’s disease (N = 103), both of whom have provided blood and biological samples for use as a research platform for Australian and international researchers. Additionally, the participants with Parkinson's disease have be phenotyped using the Unified Parkinson's Disease Rating Scale (UPDRS) and other clinical scales, while a brief family history of Parkinson’s disease is available for healthy controls. The Australian Parkinson's Disease Registry holds longitudinal data in the form of clinical variables and blood and biospecimen results. This biobank includes longitudinal data from three sites for 400 participants, aged over 18, who contributed blood and other biological samples, clinical questionnaires (e.g. neuropsychological assessments) and other clinical information. This data is currently within the Mediaflux Digital Asset Management System operated by Research Platform Services, University of Melbourne. The CRC for Mental Health has established large cohorts and uses advanced technological capabilities such as genomics, proteomics, lipidomics and metallomics to identify biomarkers for research into Alzheimer’s disease, Parkinson’s disease, schizophrenia and mood disorders. These biobanks provide an important resource to discover biomarkers in real populations, and ensure our research discoveries are integrated into medical and health care practice. The CRC for Mental Health has collaborated with the Florey Institute to create and manage the Australian Parkinson’s Disease Registry. The Florey Institute has agreed to become the custodian for the Australian Parkinson’s Disease Registry after 30-06-2018 when the CRC's funding term expires. The Australian Parkinson's Disease Registry data and samples will be used in future investigations to discover and validate biomarkers for diagnosis and for monitoring the effects of therapies for Parkinson’s disease and other forms of neurodegenerative disease, including in particular, those associated with movement disorders. More broadly, the data will be useful in large scale investigations of genetic factors and other biological mechanisms that may be involved in the etiology of Parkinson’s disease and/or in determining the trajectory of disease in individuals.